There are a lot of variations of this old fav, and here is mine. This recipe is simple, easy and suitable for any time of day. The mixture can be cooked as a fritter or spooned in to muffin papers. 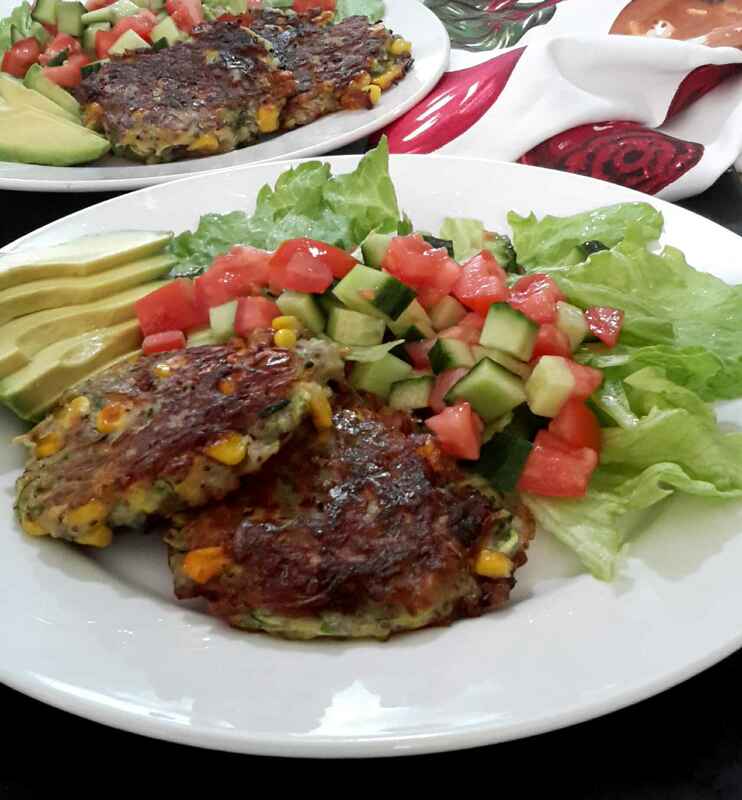 This fritter is packed with flavor, holds together when cooking and is very nutritious. Combine the almond milk and chia seeds and set aside. Mash the cannellini beans, some chunks of bean is OK.
Add the corn and spring onion to the beans and mix. Add the flour, cumin, salt and pepper to the cannellini bean mixture and mix. Heat oil in large frying pan to moderate heat. Using a 1/3 cup measure, scoop out portions and add to pan, pressing down with an egg slice to flatten fritters to approx 1cm thick. Cook on one side for 10 minutes or until firm and easy to turn. Cook on the other side for another 10 minutes. Variations: corn and/or zucchini can be substituted with other vegetable, just ensure similar quantities. Harder vegetables may need to be par cooked before being added to the fritter mixture. Storage: the mixture can store in the fridge for up to 1 day or can be frozen. For freezing it is best to form the patties and freeze uncooked in plastic bags for up to 3 months.